We all know that exercise is good for us, but staying active isn’t always as easy as it seems. Gyms offer a variety of exercise options, including classes, but a gym membership is often expensive. Fortunately, there are a lot of opportunities for low-cost exercise (and even no-cost exercise) in the Denver area. A scenic hiking trail can take all the work out of exercise, and Colorado has some of the best hiking trails in the country. However, if you’ve never hiked before, it can be difficult to know where to start. One easy way to find information on local hiking trails is to stop in at a tourism office. In fact, even if you’ve lived somewhere for years, a trip to the local tourism office will almost always yield a few surprises. Locals are also a great source of information about which hiking trails are best at any given time of the year, so for day trips or vacations, strike up a conversation. Additionally, there are lots of ways to find hiking trails online. Many websites, like Dayhikes Near Denver, divide trails into categories like drive time, beauty, distance, or difficulty. In addition to these, Dayhikes Near Denver also has a category for handicap accessible hikes. Handicap accessible trails are perfect for those just getting into hiking, for people who use assistive devices, or for parents with kids who use a stroller. In addition, each trail is accompanied by a description and tips from people who’ve hiked it. Some make note of popular fishing spots and suggest acquiring a fishing license, while others might include a suggested itinerary of other scenic spots to stop at on the way to or from the hiking trial. 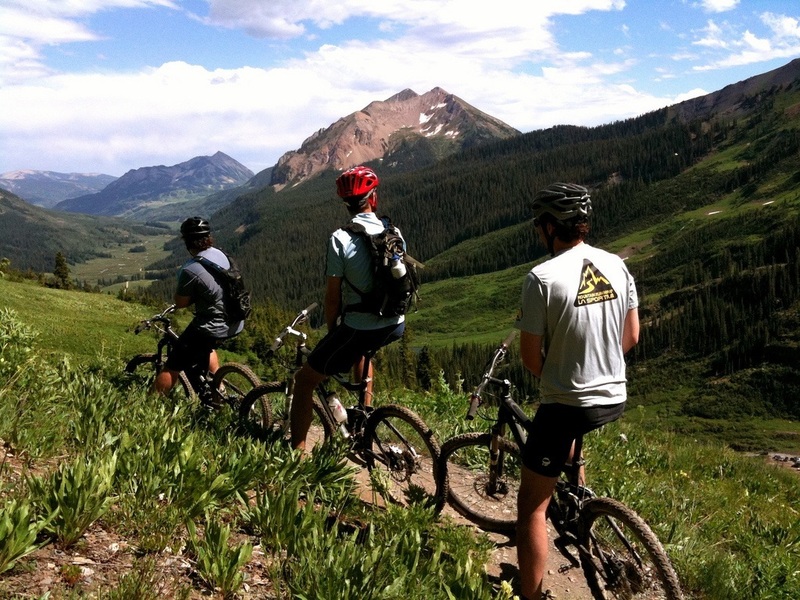 While Dayhikes Near Denver provides a very thorough and personal description of each individual trail, there is no category for trails that allow mountain biking. Instead, potential mountain bikers must look in each trail’s description to see if biking is allowed. For people who want to enjoy the mountains from two wheels, TrailLink is a good place to start. This site is a database of bike trails all over the country and is searchable by location. The trail descriptions provided at TrialLink may not be terribly detailed, but each trail is rated and reviewed by visitors. This allows hopeful mountain bikers to read what others had to say about each trail. Mountain trails aren’t the only place to keep active with a bike. Taking a bike to work or around town can save on gas money, in addition to providing some good exercise. Even biking to work or the coffee shop once or twice a week can be beneficial. Bicycle Colorado provides bike maps, arranged by community, to help plan a bike route around town. City parks are always a great place for a walk or bike ride, too. If you’re tracking how much activity you’re doing, check the park signs. Many list how long the path around the park is. If you have a dog, head for a dog park. Walking around the dog park is good exercise, and you and your dog might make a few friends. If the dog park doesn’t appeal to you, take a group of friends to any city park for a game of soccer or football. Some parks also have outdoor courts for basketball or other games. Denver has a lot of recreation centers and pools. It’s often possible to buy a membership or pay a one-time entrance fee to take advantage of these. Additionally, a variety of programs and classes take place throughout Denver. There are also several YMCA locations in the Denver area. YMCAs have state-of-the-art exercise equipment and more than 70 fitness classes per week for all activity levels, so there’s almost certainly something for everyone. A YMCA membership is typically less than the average gym membership. To make sure it’s a good match before purchasing a membership, look into a guest pass. Keep an eye on events happening around Denver, too. The Denver Special Events Calendar can be adjusted by both date and category, so it’s easy to find walks and runs taking place in the next month. Many are fun ways to get some low-cost or free exercise while socializing with others or promoting a cause. Long hikes, regular bike rides, and the use of exercise equipment are excellent ways to promote a healthy lifestyle, but they’re not the only way to get moving. If exercise isn’t already part of your daily routine, making a few small changes can ease the transition from a sedentary lifestyle to a more active one. How will you add exercise to your routine?